Spine and cover have creases. 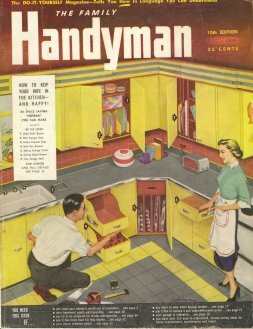 Cover depicts how to keep your wife in the kitchen and happy. Features waterproofing the basement, turn doorway into archway, how to install ceiling tiles, double duty dust pan and thawing a frozen downspout.